St. Martin's Griffin, 9781250009319, 480pp. 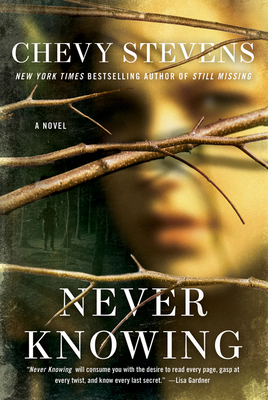 “NEVER KNOWING is a chilling thriller with enough twists and turns so every time I thought I knew where it was going I was taken somewhere else. I have a feeling that Chevy Stevens is an author who is going to keep getting better and better with each book! I hope I'm still around for the next six -- at which point she'll probably give me a heart attack. But what a great way to go out!” —Lois Duncan, author of I Know What You Did Last Summer.